A new report has revealed UK electricity use to light homes is almost a third less than it was in 1997. The Financial Times has reported the shift to newer more energy efficiency light bulbs and the phasing out of the inefficient incandescent light bulbs has been accredited as a large factor in the changes. By comparison, new compact fluorescent bulbs use less than 80% less electricity than the phased out light bulb, while stilling producing the same amount of light. 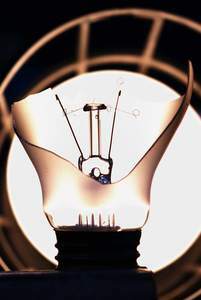 The Financial Times quotes Brenda Boardman, emeritus fellow at the University of Oxford's Environmental Change Institute, as saying the focus on energy-efficient light bulbs has seen a drastic drop in energy use. Whereas previously UK homes used 720 kilowatt-hours in 1997, it has now dropped to less than 500 kWh last year: A drop of more than 30%. The Energy Saving Trust has claimed UK homeowners could save a staggering £1.4bn on electricity bills every year, simply by phasing out their remaining filament bulbs. By introducing LED bulbs, these savings could be even greater. Despite the drop in UK domestic electricity use however, the country still consumes far much electricity than many of its European neighbours - with figures from the European Commission showing UK electricity consumption for lighting and appliances stood at an average of 3,615KWh per household in 2010, 13% higher than the European average. Compared to Germany, UK households uses a massive 36% more electricity than German ones. It is important to note however, electricity prices are substantially higher in Germany than the UK.